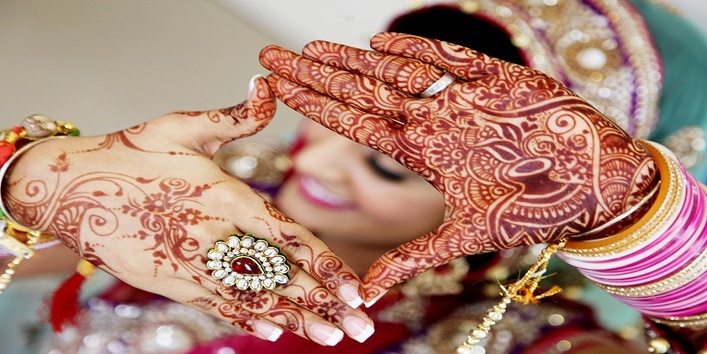 Mehendi is the most important part of Indian bridal attire and every bride wants a perfect bridal mehendi for her wedding. But when it comes to choosing the designs there are multiple designs available with the artists but all these designs don’t have the personal touch of your own. But now every bride can choose a design and personalize it too according to her preferences. Yes, you can add your proposal day, you and me type and many more. 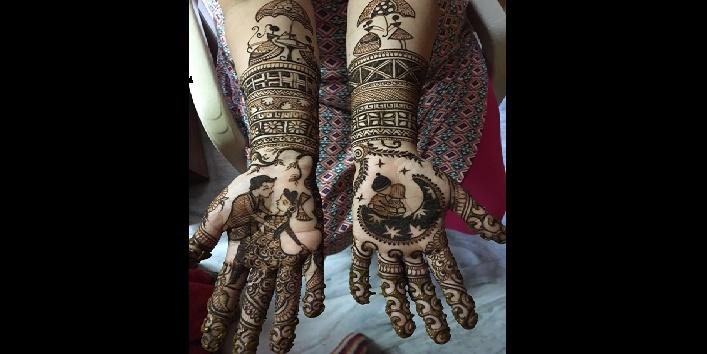 This bridal mehendi design got very popular last year during the wedding of a TV actress. This type of mehendi looks absolutely stunning as it adds a new flavour to the look. This pattern is also available as Radha Krishna design. So, if you have wedding this year add this design to your list and make your hubby feel surprised. All the brides out there relive your love story through this amazing bridal mehendi design that can be drawn on your hands beautifully. How you met and the sweet date when you went out together.This all can be done through this design. And what can be the best occasion to hop on to this design and look amazing. Most of the couples love their profession and they can’t get parted from their professional background. But do you guys know that you can also add this profession love to your bridal mehendi design? Isn’t it a great idea? Sounds cool, no? Then add this to your list. The story behind this bridal mehendi design was that the duo was a crazy fan of minions and for this reason, the bride requested the artist to draw minion on the top of her hands and this sounds really crazy but it’s true. You can also personalize your mehendi look by adding your favourite cartoon character and rock your wedding. This bridal mehendi design will add a delicate look to your hands. Choose your favourite verse or line of the song to your hands and rock in your shaadi. Don’t choose a verse longer than one line as it will make your mehendi messy. Try these amazing and quirky bridal mehendi designs and rock your shaadi like a queen.